Here’s the spot where I list print resources that I’ve found particularly helpful. I plan to add to this page as I read more. For online resources, check the sidebar. I’ve tried to list link to the resources and frequently use Amazon, but that doesn’t mean you should/should not buy from them. Very inexpensive resource with good information. Organized alphabetically by topics; I love Debost’s artistic perspective. A little expensive for its size, but worth it in my opinion. Listing of nearly all literature available for flute (etudes, methods, solos, ensembles), sorted by grade level, with index. Be prepared to have the book rebound (both mine and a friend’s fell apart when we opened them). Fantastically comprehensive. 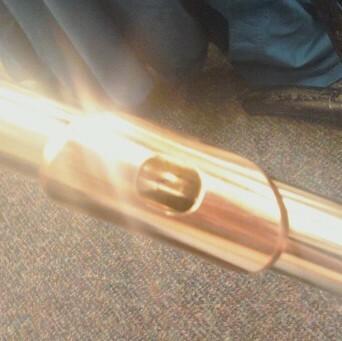 Covers flute purchase and maintenance, history of the instrument, performance aspects (technique, vibrato, articulation, etc. ), style and time periods, recordings and compositions.